You can eat and have a great time in Vegas without dropping all the chips! So you’ve lost most of your money gambling at the first table you saw. Or the eighth. No judgment here. 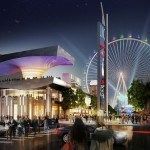 That last hundred is burning a hole in your pocket, but you aren’t leaving Las Vegas quite yet. 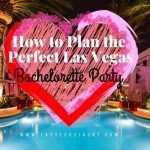 Is it possible to still have fun in Vegas on a budget? Of course! And I am here to tell you how. 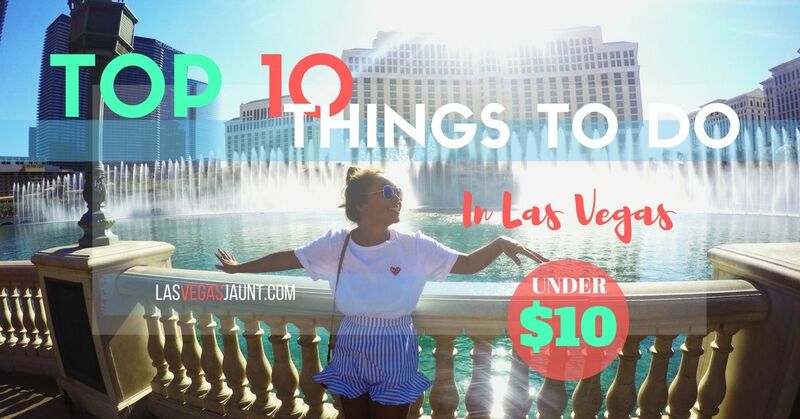 This list of things to do in Vegas for under $10 will keep you fed and entertained during your remaining hours in Sin City. But it won’t keep you out of trouble. Get some history while recharging your batteries at the El Cortez, the oldest continuously running hotel and casino in Vegas. 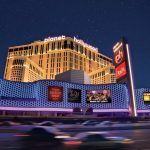 Built in 1941, and later bought by Benjamin “Bugsy” Siegel and friends, its exteriors will remind you of the early days of Las Vegas, while its vintage slot machines will entice you to stay. Eat like a ganster at Siegel’s 1941, one of El Cortez’s five restaurants, and get your day going with a $5 Breakfast Sandwich Supreme, an english muffin stuffed with egg, bacon, Canadian Bacon, jack and cheddar cheeses, and coffee. Go classic Americana at Pink’s Hot Dogs inside the Planet Holleywood Hotel and Casino for an amazing hot dog experience. Since everything on the menu is under $10, the tough part is choosing between special dogs, like their Mushroom Swiss Dog, the Spicy Mojave Dog, and even a classic Bacon Chili Cheese Dog. If you are craving that famous Vegas steak dinner, try Mr. Lucky’s 24/7 inside the Hard Rock Hotel. Not on the menu is the Gambler’s Special for $7.77. It includes steak, shrimp, and mashed potatoes, so long as you have a Player’s Card. Don’t have a Player’s Card? Its easy to get one. Just sign up for this free discount card at many local casinos, which can get you free things all over town. If you didn’t have a chance, the restaurant should be able to get you one too. While many restaurants offer graveyard specials, Ellis Island stands out because of its large volume of food under $10, and its close proximity to the strip, which you are undoubtedly coming from or going to. For that midnight craving, choose anything from chili cheese fries and quesadillas, to corned beef hash, omelettes and cinnamon french toast. 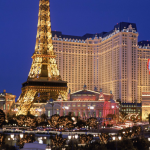 Head over to the Golden Gate Hotel and Casino to visit the first Las Vegas casino ever. Built in 1905 as the Nevada Hotel on the corner of Main Street and Fremont, it began the town of Las Vegas, and survived its many changes, including prohibition. It brought the first telephone, the first shrimp cocktail, and even boasts hosting the Rat Pack. And the Shrimp Cocktail is only $3.99. 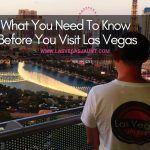 Right outside the Golden Gate Hotel and Casino is Fremont Street, four blocks of party madness complete with bars, live music, DJ’s, the Viva Vision Light Show, and even a zipline overhead. This is your party destination, and except for the zipline, is completely free. Get out of the city for some outdoor adventure at Red Rock Canyon, just west of Vegas in the Mojave Desert. You can get in for $7 per car, or $3 for biking or hiking. Once there, enjoy scenic views, awesome rock formations, diverse plants and wildlife, and even dinosaur tracks, all while hiking trails, biking, climbing or camping for the night. The park area also boasts natural swimming pools. Oak Creek is a natural spring fed ravine with two swimming pools, while the seasonal First Creek includes a waterfall with its swimming hole. Nevada is also home to over 300 natural hot springs. While the hot temperatures may have you lounging at the pool, on cooler days it is worth the trek to see these outdoor saunas. Some closer to Las Vegas include Roger’s Springs near Lake Mead, and Sauna Cave near Hoover Dam. Take a tour of the Bellagio Hotel, where you can casually walk the always open 14,000 square foot conservatory of plant and flower displays that are transformed every season into new wonderlands. You can also check out the Fountains of Bellagio, a multisensual display of water, lights and music. While you are there, check out the World’s Largest Chocolate Fountain located in the Bellagio Patisserie. Here, a 14 foot fountain of glass continuously circulates 2,100 pounds of various melted chocolates, dazzling eyes and rumbling tummies. Like craft beer? Get a free tour of Banger Brewery and learn all about the ingredients and process of brewing. The tour, for those 21 and over of course, includes free samples afterwards. Once you decide on your favorite, buy your own glass fresh from the tap for $5-$8. Got a little extra cash and still have the gambling bug? No worries, there are casinos for you! If you are at the Golden Gate Casino, continue to get your game on with $5 blackjack and craps tables. 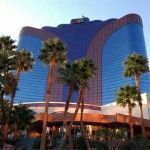 Treasure Island has $5 blackjack, the Excalibur has $5 craps, and the Casino Royale and Fremont both boast $3 craps, to name a few. Need something for the kids? Or even just the kid in you? Circus Circus has long been a Las Vegas icon. With an amazing assortment of classic games for all ages, its circus acts and aerial acrobatics overhead, you can let the kids run wild as you head over to the $3 blackjack table. The Adventuredome, the largest indoor theme park in America, is five acres of amusement park fun inside Circus Circus. It can be pricey for an all day pass at $31.95 for adults and $17.95 for kids, but many individual rides are only $6 to $8 per ride. After all the eating and gaming, you may feel the need to get some local culture. Besides the many historic buildings and landmarks, these spots can also inspire. The Las Vegas Natural History Museum is only $10 for adults, and showcases exhibits on Ancient Rome, Egypt, Dinosaurs, Prehistoric mammals, Ocean Life, African Wildlife, Geology and more. Housing ancient Anasazi artifacts like tools, baskets and jewelry, and built upon a prehistoric Pueblo site, the Lost City Museum is the place to learn about the first peoples of America. While only a short drive from Las Vegas, for $5 you can delve into the history of Nevada. And lastly, for the art afficionado, walk the halls of the Metropolitan Gallery of Las Vegas for an exploration of fine art. Admission is only $5 to these rotating exhibitions by local, regional and international artists. There you go, awesome adventures waiting to be had in the city of Sin. Don’t forget to swing by on your way out of town to take a picture by the iconic Las Vegas city sign. It’s free.